Admit it. You have a problem. Dude, put down the pipe Facebook. You may have a problem. Alex Trimpe has put together a magnificent little infographic video about your addiction, and thankfully it looks like you’re not alone. We hate to throw stones in this big glass house of ours (at our 40,000 fans. *Cough*), but perhaps we’ve all been spending a bit too much time on FB? Do you check FB as soon as you awaken? 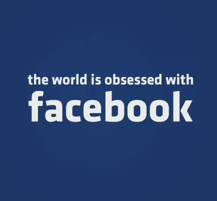 Are you obsessed with Facebook?